Tried It and Like It…. As part of a my quest to engage in more cultural activities, I discovered this amazing service called Try The World. Founders Kat and David team up with celebrity chefs and local experts from around the globe to hand select authentic treats to send to customers. 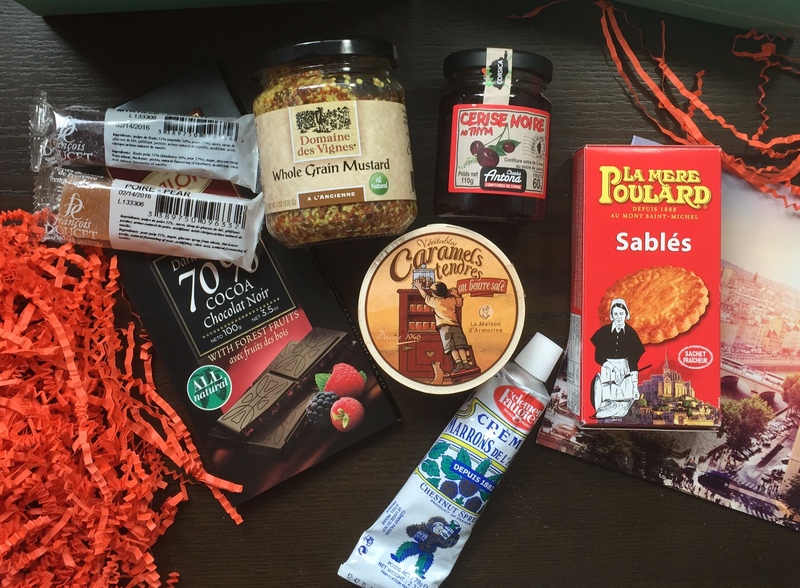 Every 2 months, a box containing gourmet edibles along with suggestions for classic movies, music, and cultural activities from a select city are sent. I just received my first box which is a curated selection from Paris, how fun, I love it! My hubby and I used this as inspiration to create an “afternoon in Paris” and had a lovely time. With Parisian music in the background, we indulged in several French delicacies, and read French poetry. It was really fun! Try The World offers a unique opportunity to experience a moment someplace far away from the comfort of your own home. It’s brilliant. Can’t wait for the next surprise box! 04 Mar	This entry was published on March 4, 2015 at 7:59 am. It’s filed under Food, General Fun and tagged Try The World. Bookmark the permalink. Follow any comments here with the RSS feed for this post.